Coming off the legacy of Gay Games Cleveland, which despite the hesitancy of people to actually make an effort to go to Cleveland, hosted an amazing Gay Games that was nothing short of high quality all around. Paris 2018 certainly had a lot going for it. From being the most international city in the world, preparations for hosting the 2024 Olympic Games, the backing of the French Olympic Committee and Parisian Government. However, the Cleveland 2014 legacy may have been a bit too much to live up to. 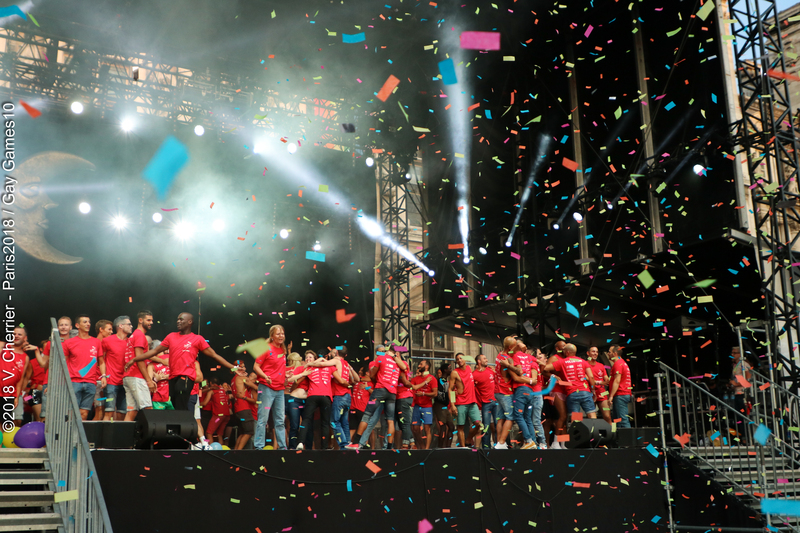 Now, except for the opening ceremonies, the Paris 2018 Gay Games wasn’t bad. Especially in comparison to certain events that took place in 2015 and 2017 that we will not name. Unfortunately, the logistics of hosting such a large event in such a large city might have been a bit too… large. The most common problem experienced by participants and volunteers seemed to be a lack of communication, with conflicting information being sent out about events, policies and guidelines that wasn’t always consistent. A lot of the volunteers reported receiving conflicting information or lack of information at their events which made it difficult for them to do their jobs and frustrating for the athletes. Many athletes experienced a culture shock of the interpretation of rules in their sports that they didn’t expect. Including Mountain Biking having issues with disqualification if they were overlapped by a competitor on the course, a swimmer who almost was ejected from competition when her life saving Epi-Pen was considered a “performance enhancing substance” (Gay Games nor Paris 2018 does not have a consistent policy on Performance Enhancing Substances) and many of the athletes 24 years and younger weren’t awarded the medals they earned because of French Masters Policies regarding age. The timing of the European Heat Wave certainly didn’t help the matters either as most sporting events were held outdoors in the blistering heat. Despite these few issues though, most events seemed to have gone well and the quality of the event significantly improved after the opening ceremonies. 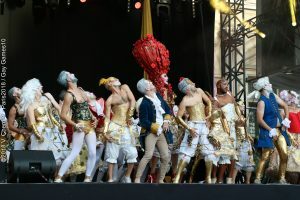 Even with many of the venues being hosted quite a distance away from the city center where the festival village, the majority of athletes, volunteers and spectators did appear to be enjoying their time and experience here in Paris. The familiar “clink clink clink” sound of medals started to echo through the city streets of the Marais (Paris Gayborhood) as people proudly showed off their accomplishments. Having learned from the reception of the opening ceremonies, the closing ceremonies was quickly reworked into a short and sweet handoff of the Gay Games flag to the next host, Hong Kong 2022. No long boring speeches, no comedians with top hats and political agendas. Just the basics. It as then followed by an amazing, well-rehearsed and energetic cultural program that highlighted all the wonderful things of French culture. Seriously, the types of things you might expect to see in the opening ceremonies! It was no doubt (with the exception of the Pink Flamingo), the highlight of the games. While, not quite the legacy of the 2014 Gay Games Cleveland. 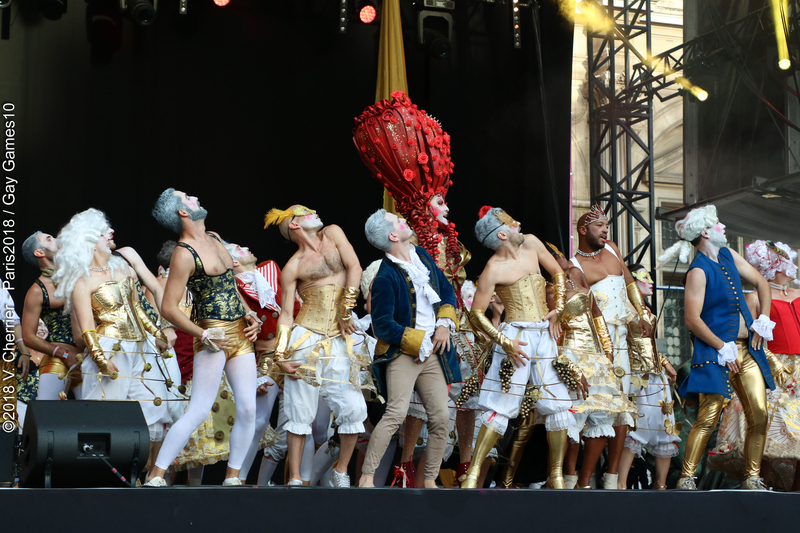 The 2018 Gay Games Paris, despite a rough start, wasn’t as bad as it could have been. Overall, the quality of the competitions was pretty good for an event this size and the Parisians really did embrace the large community of athletes and jockstraps who came out for the event. Even the president of the French Olympic Committee got involved with awarding some of the medals for the rowers and open water swimmers. Every event that takes place is a learning experience. From the good to the bad, you’ll learn what to do and what not to do. 2022 Gay Games Hong Kong certainly has a lot to do in the next 4 years, so I hope that they have learned a lot from this event as well as previous Gay Games and other LGBTQ+ sporting events that will help them be successful on a new frontier.